Garage door problems wouldn’t seem too worrisome if you had our phone number in hand. We rush to help customers in need of garage door service in Dallas, Texas. Want to fix the overhead door not closing? Need to replace the broken cables? We are at your service. On top of same day repairs, our company is available for replacements, new installations, maintenance, conversions – the whole deal. Whenever you need experts to handle anything related to your Dallas garage doors, simply get in touch with us. At Citywide Garage Door Repair Dallas, we understand your fears and frustration when problems emerge. And rest assured that we tackle them quickly. When you call us with your troubles, a tech comes out on the double and well-equipped to do any repair needed. Trained to service garage doors of all types and brands, they are ready to address all kinds of problems. 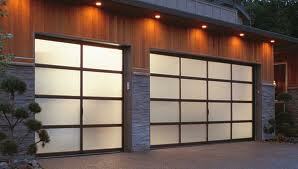 Expect same day garage doors repair from our company. Not only do we appoint the most qualified local techs to fix garage door troubles but as soon as possible too. Broken torsion spring? Noisy motor? Misaligned tracks? Have no worries. Get our number and talk to our staff about your troubles. They will be fixed in no time. 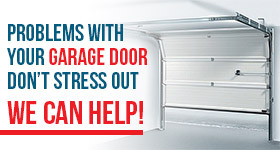 With our help, every single garage door replacement service is trouble-free. A tech won’t only respond urgently to replace the broken parts but the opener as well. If you are currently searching for a new overhead door and could use some help and advice, dial our number. We send out assistance in an effort to make your decisions easy and prevent mistakes that will cost you later. Our garage door company cares to make things simple for you. We are in this business to ensure your garage door operates well and new ones are installed by the book. So never hesitate to call us when you need service. We are experienced and responsive and ready to handle any service request with equal enthusiasm and effectiveness. Your garage doors in Dallas will be fixed, replaced, maintained, or installed to your full satisfaction and affordably. So give us a try if you ever need a pro company for service. It will be our pride to serve your needs.